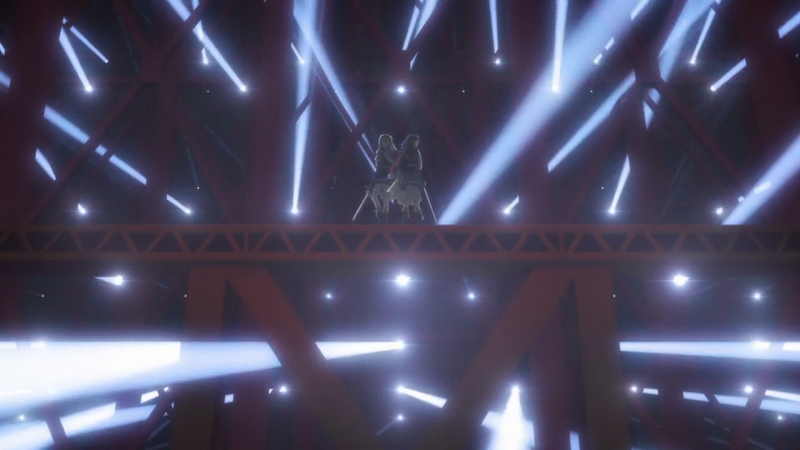 Compelling and captivating are two words used frequently in Shoujo ☆ Kageki Revue Starlight to describe the in-universe play and narrative framing device, Starlight. 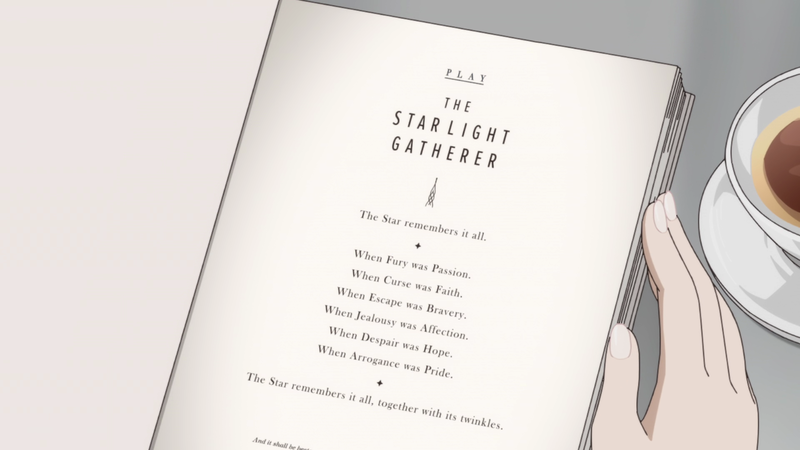 Following the star-crossed Flora and Claire, Starlight is a tragedy that borrows from known Takarazuka Revue staples like Elisabeth — ai to shi no rondo (Elisabeth — rondo of love and death) and is made to have the same influence and frequency of performance as Elisabeth or Rose of Versailles in order to frame the relationship of Revue Starlight leads Karen Aijou and Hikari Kagura. Starlight is synonymous with being a stage girl. Karen and Hikari were inspired to become stage girls — effectively entering the spartan and highly-controlled education system of a Takarazuka trainee — by a performance of Starlight. Throughout the series, they frequently open episodes with narration from the play, reiterating how the story of Claire and Flora draws them in and captivates them and also that this tale is ultimately a tragedy. These two leads are torn apart once they reach for their distant star. Starlight not only encapsulates the stage girl experience but within it’s narrative, perpetuates the toxic cycle that Karen aims to break. Previously I had thought of Shoujo ☆ Kageki Revue Starlight‘s giraffe as an arbiter of the system, similar to Yuri Kuma Arashi‘s Judgmens who preside over the Severance Court. In Yuri Kuma Arashi, the three Judgmens are the only body allowed to permit relationships — there’s even an offical stamp that says “Yuri approved!” — a reminder of societal constructs and barriers that the leads eventually break by the end of the series. 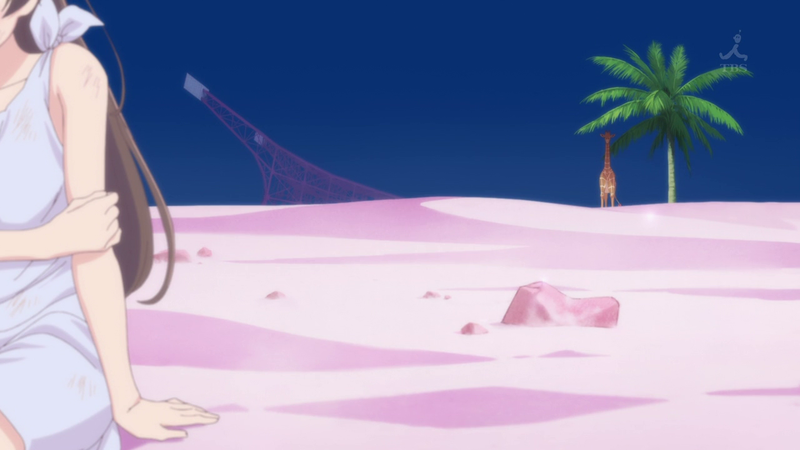 The giraffe seemed to be of this vein, presiding over the toxic top star system of the Takarazuka Revue at Revue Starlight‘s Seisho Music Academy. This is why he always cheered or commented during the duels, kept track of the top star standings in his room, and was an important signature on Hikari Kagura’s transfer documents. Because the giraffe is the system, naturally he would have a hand in her “transfer” from Seisho once she reached the top star stage. 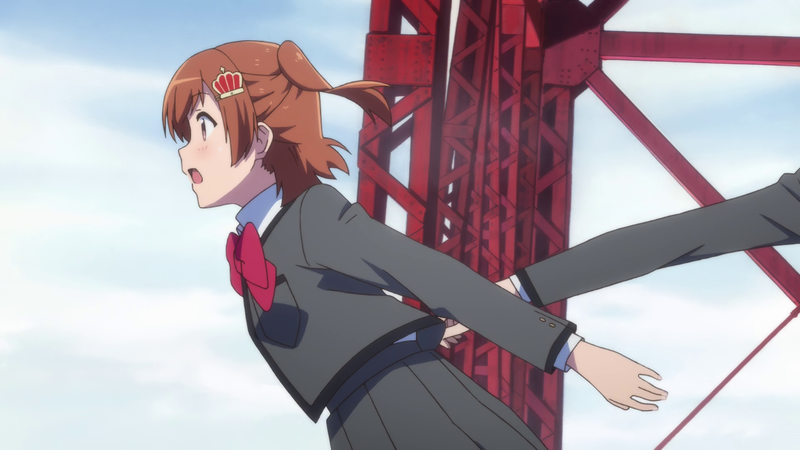 Yet, the giraffe’s true identity is revealed in Revue Starlight‘s finale. This revelation recontextualizes the giraffe’s actions throughout the series. While it’s not wrong that he’s an arbiter, he’s also something concrete and very familiar to anyone who has watched a stage production. The next phrase out of the giraffe’s mouth is, “Well then, I must ask you to leave.” Yet as he says this, Karen has already climbed all the way up his neck. She uses it as a slide in order to crash the revue duels and save childhood friend Hikari Kagura. This is who Karen is. And it’s this personality that makes her the perfect person to break the cycle. She doesn’t fit the Takarazuka Revue mold. 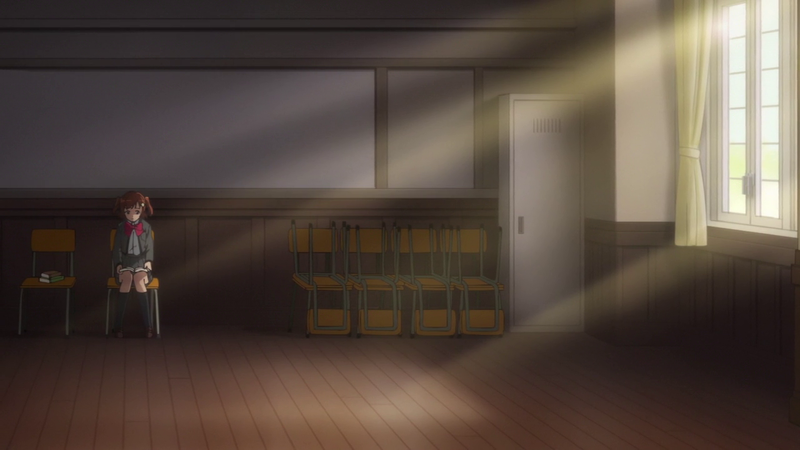 Hikari Kagura’s purported Episode 10 betrayal of childhood friend Karen Aijou is shown in Shoujo ☆ Kageki Revue Starlight‘s first episode. Not foreshadowed, straight up shown, albeit in a dream. From the opening moments of the first episode — when various members of the class introduce themselves around position zero — to the revue duet and Hikari’s rumored heel turn, Karen and Hikari’s relationship is laid out for us visually via cinematography and staging. Hikari’s actions in Episode 10 aren’t shocking, especially with the road she (and Karen) traveled to that final dueling stage. Once again, it has a lot to do with the series’ incisive look at the Takarazuka Revue. Throughout all of Shoujo ☆ Kageki Revue Starlight, we never see Claudine Saijou’s dueling stage. There are glimpses of it when Mahiru Tsuyuzaki’s performance crashes through several other revues, but Claudine doesn’t introduce her stage. She doesn’t receive a standalone episode — for all of the talk that the show does Mahiru dirty, at least she receives her own spotlight episode and somewhat cathartic revue — and is all too often shown in relief to Maya Tendou. Even when Claudine is separate from Maya, her dedication to becoming a stage girl is irrevocably tied to Maya or she is put in a position to support someone else (namely Futaba Isurugi after Futaba fights with Kaoruko Hanayagi). None of this is a coincidence and it all revolves around critiquing the Takarazuka Revue.